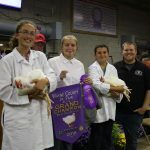 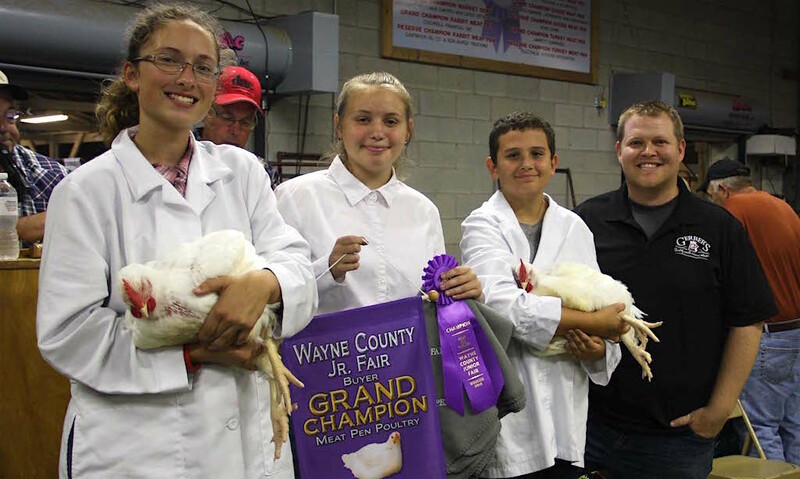 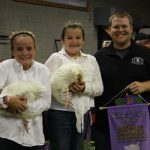 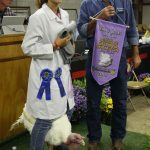 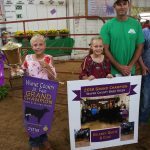 Emily Reed’s grand champion pen of meat chickens sold for $900 to Josh Hanzie for Gerber Poultry. 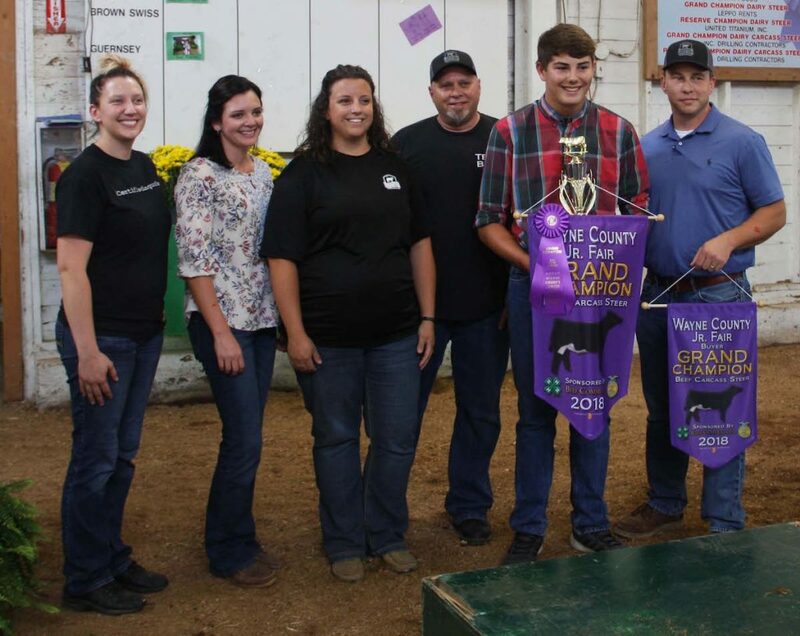 Also pictured is Molly McCoy and Reid and Brandon Sprenger. 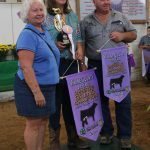 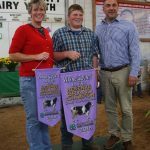 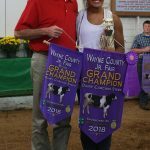 Aaliyah Wirth’s 860-pound champion dairy beef carcass sold for $3.75 per pound to Allen Fore, for Kinder Morgan. 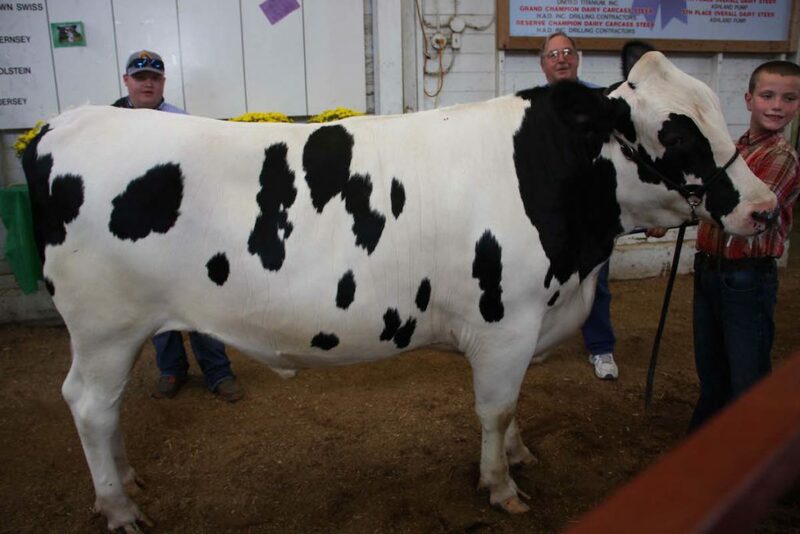 Mallory Shoup’s 1,525-pound dairy steer sold for $2.50 per pound PNC Bank, represented by Jamie Pittman and Lowe and Young, represented by Jason Steiner. 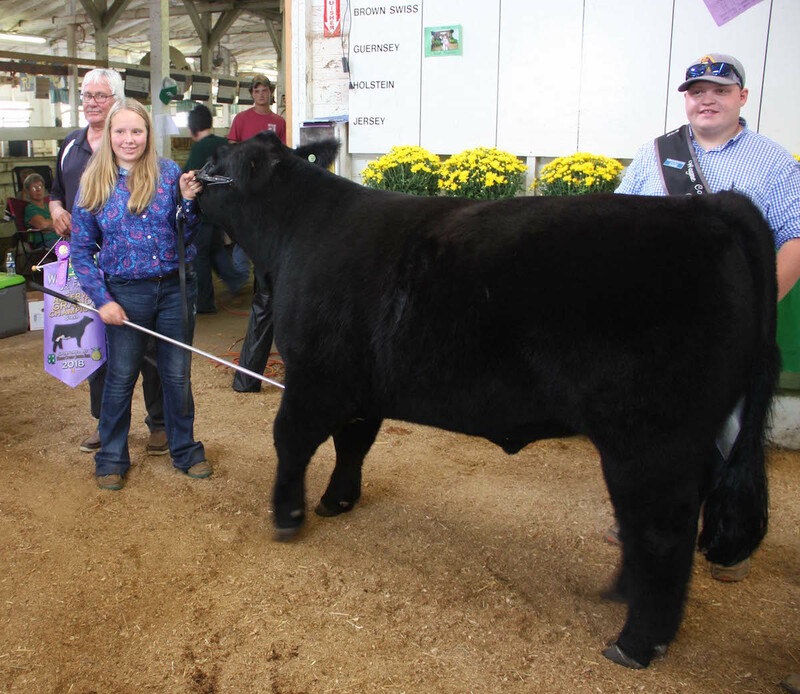 Delaney Dudte’s 1,285-pound champion Wayne County bred steer sold for $4.75 to Jim Tucker, for Marshallville Packing and Orrville Trucking. 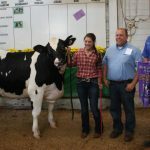 Also pictured is Hayley McKelvey. 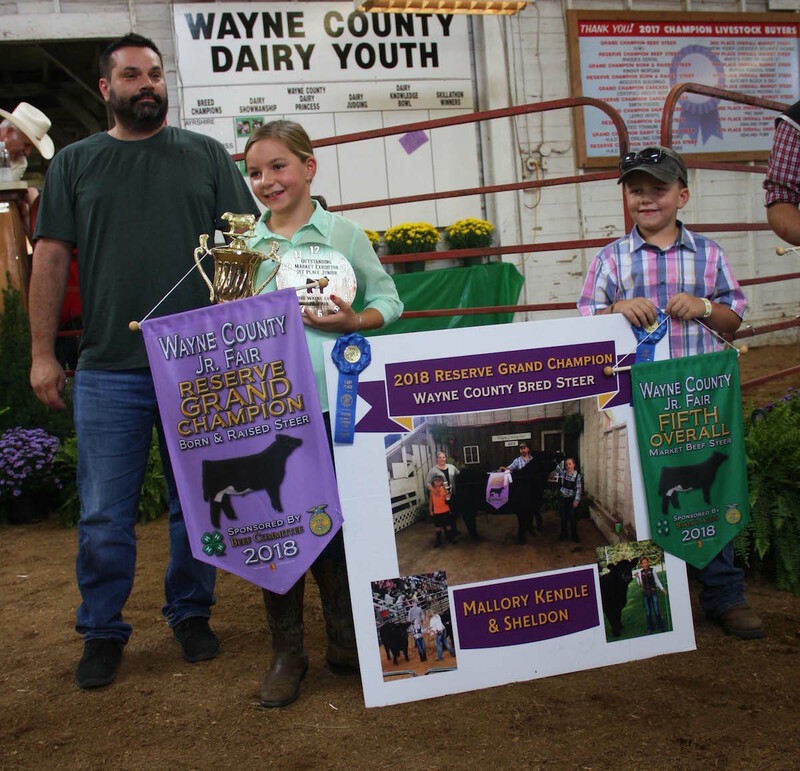 Mallory Kendel’s 1,375-pound reserve champion Wayne county bred steer sold for $3.25 per pound to the Clothing Warehouse, represented by Jason Carrick. 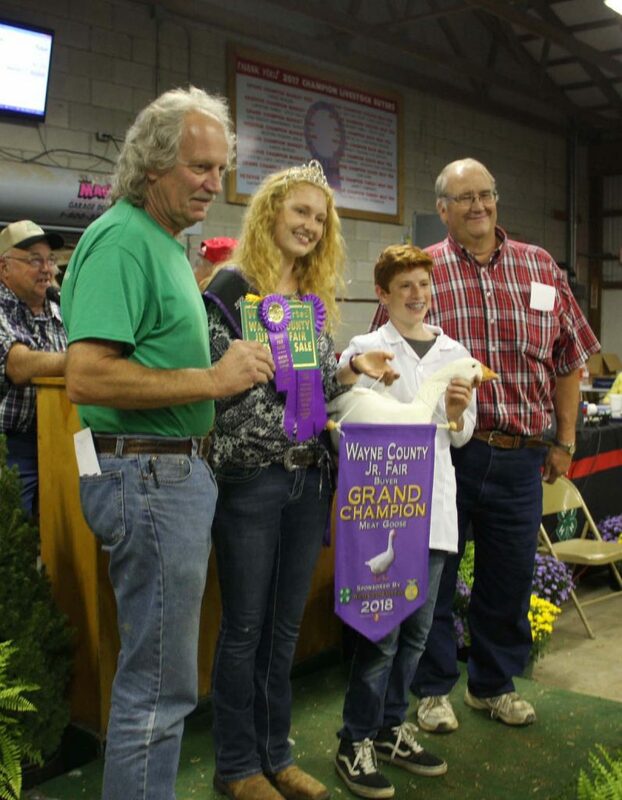 Also pictured is Maverick Kendel. 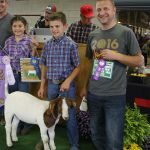 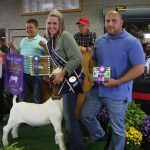 Kyle Piscione’s 87-pound champion meat type market goat sold to Jamie Bowman, Just Kiddin Around, for $2,300. 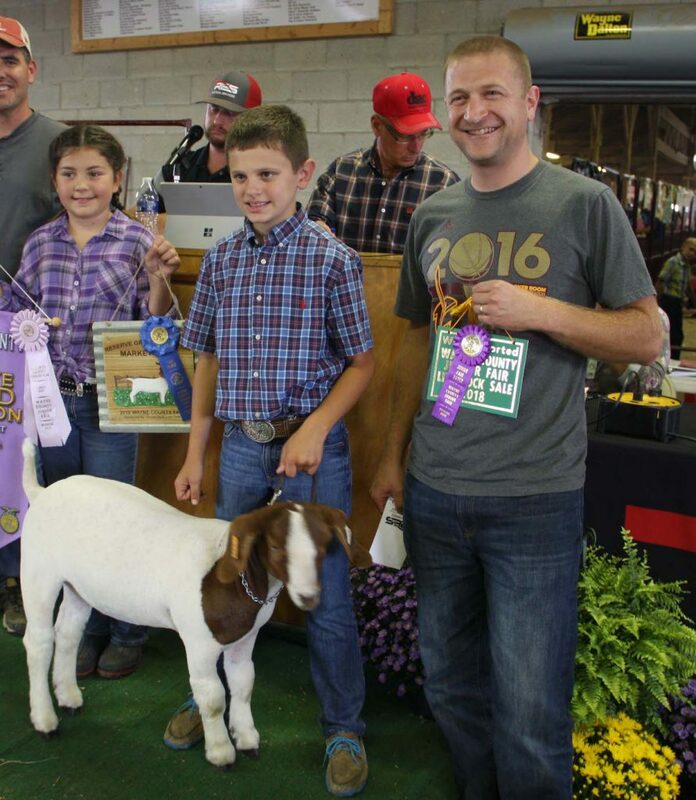 Holding the goat is Cade Tegtmeier. Also pictured is Riley Stull. 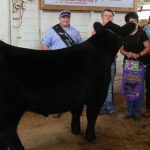 HAD Drilling, represented by John and Dianna Hatfield, bid $4 per pound for Shyler Swinehart’s 696-pound reserve champion market beef carcass. 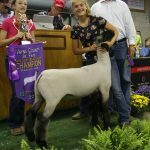 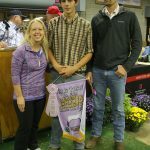 Josh and Joanna Kepler, Diamond J Ranch, bid $6 per pound for Nathan Stillwagner’s 65-pound reserve champion market lamb carcass. 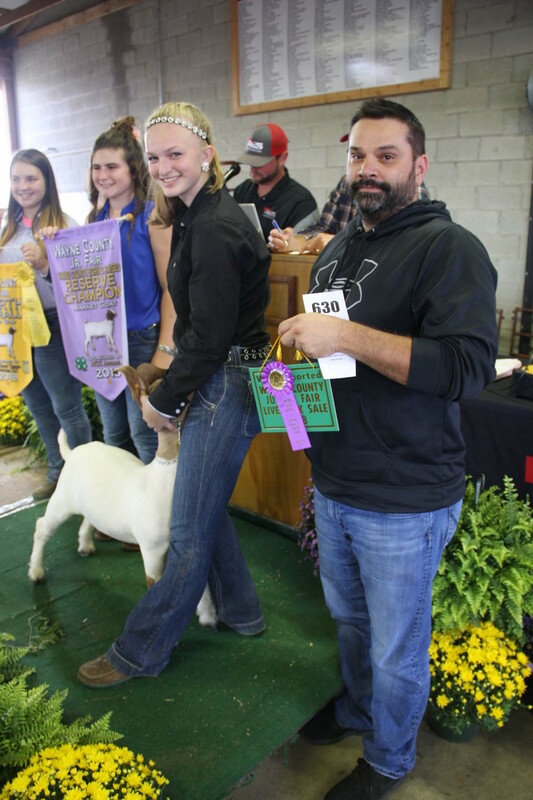 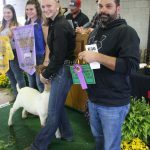 Kendra Marty’s 75-pound reserve champion Wayne county bred market goat sold to the Clothing Warehouse, represented by Jason Carrick for $1,950 per head. 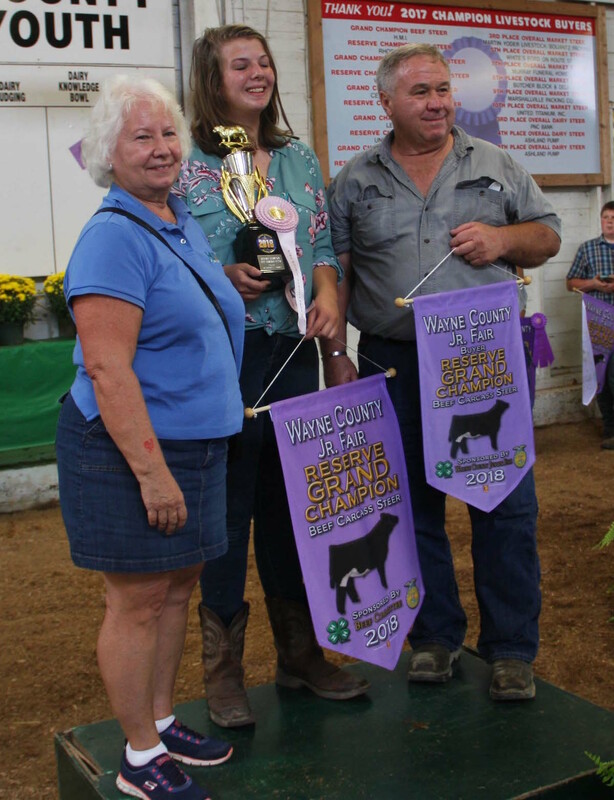 Also pictured is Kenzie Saunders. 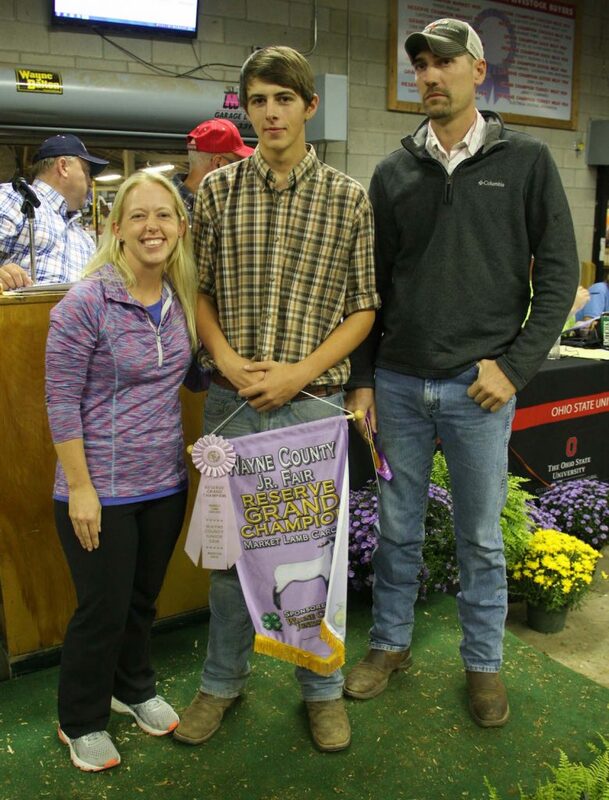 Peyton Mullett, represented by brother, Hunter, had the reserve champion dairy beef carcass. 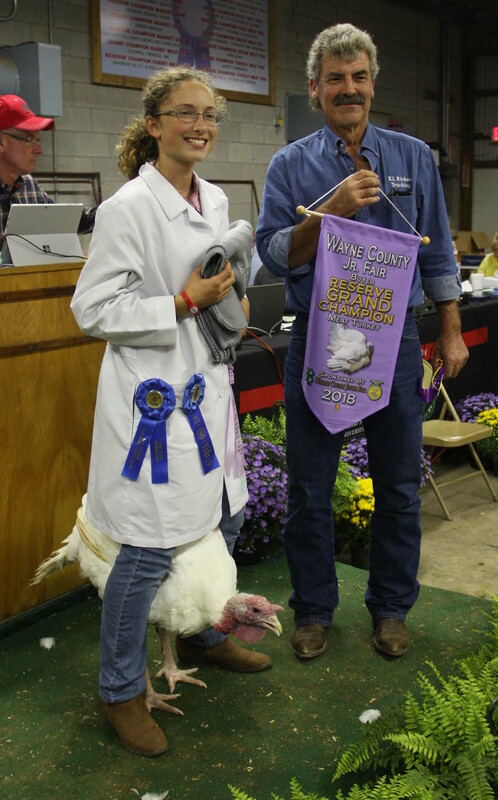 Hummel Insurance represented by Tina Balis and Steve Rohrer bid $4.25 per pound for the 888-pound carcass. 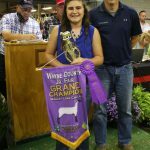 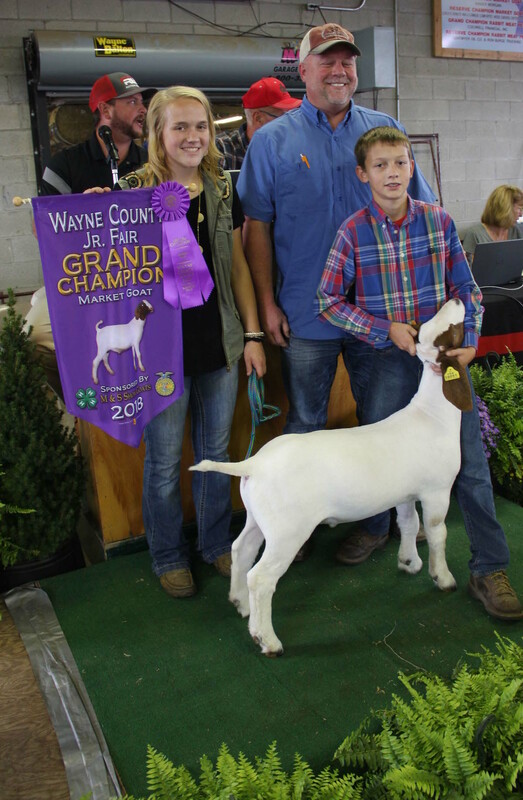 Paige Maibach’s 83-pound champion Wayne county bred goat sold for $1,900 to Matt Bolling Chevrons. 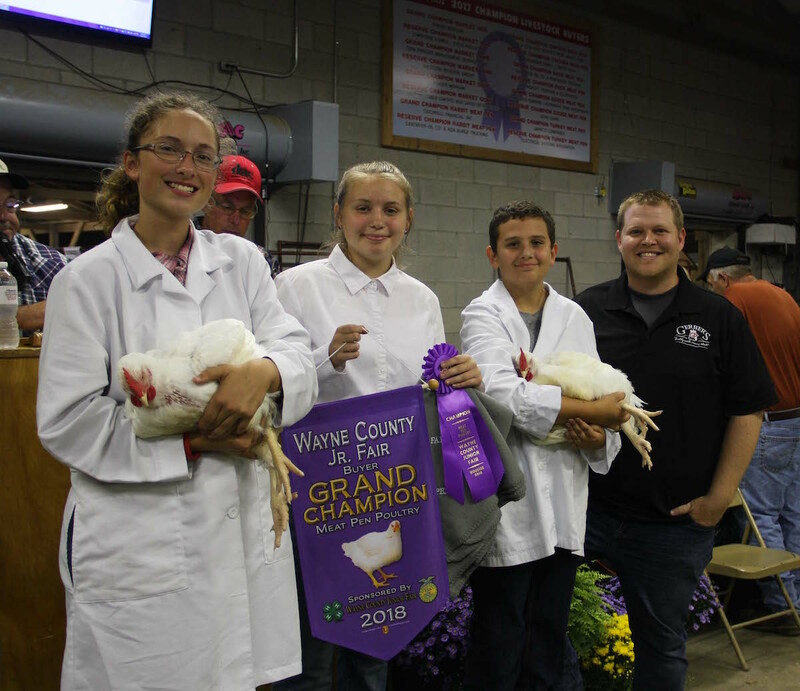 Also pictured Gavin Maibach and Justin Jurbaugh. 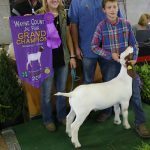 Red Wood Living represented by Nick Hershberger bid $800 for Maddox Belmont’s 81-pound reserve champion meat type market goat. 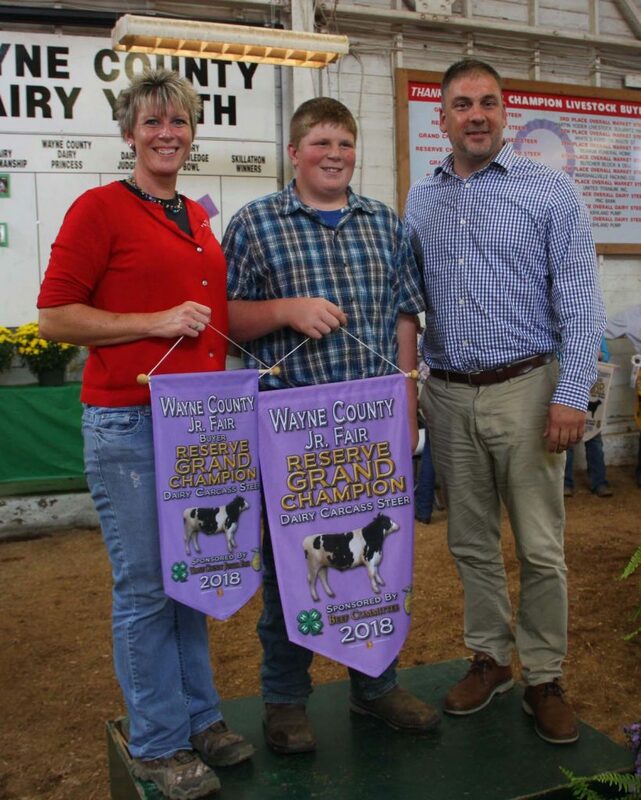 Also pictured Mark Belmont and McKenzie Gasser. 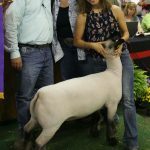 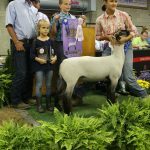 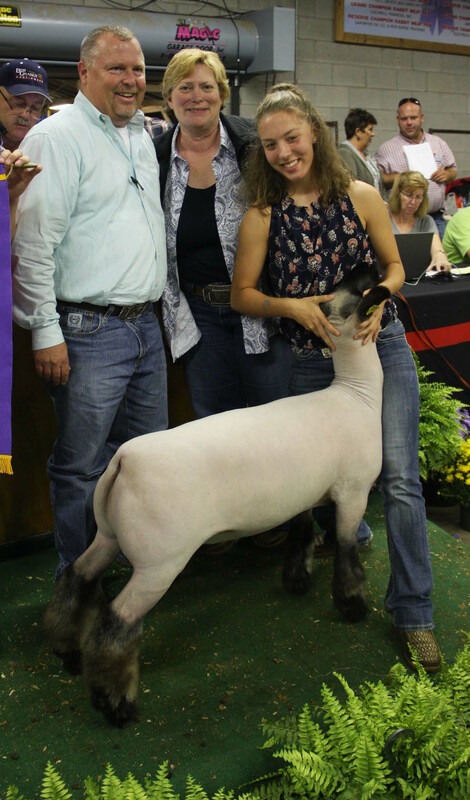 Twisted X Shoes, represented by Carl and Susan Ickes bid $7 per pound for Kylee Johnson’s 132-pound reserve champion market lamb. 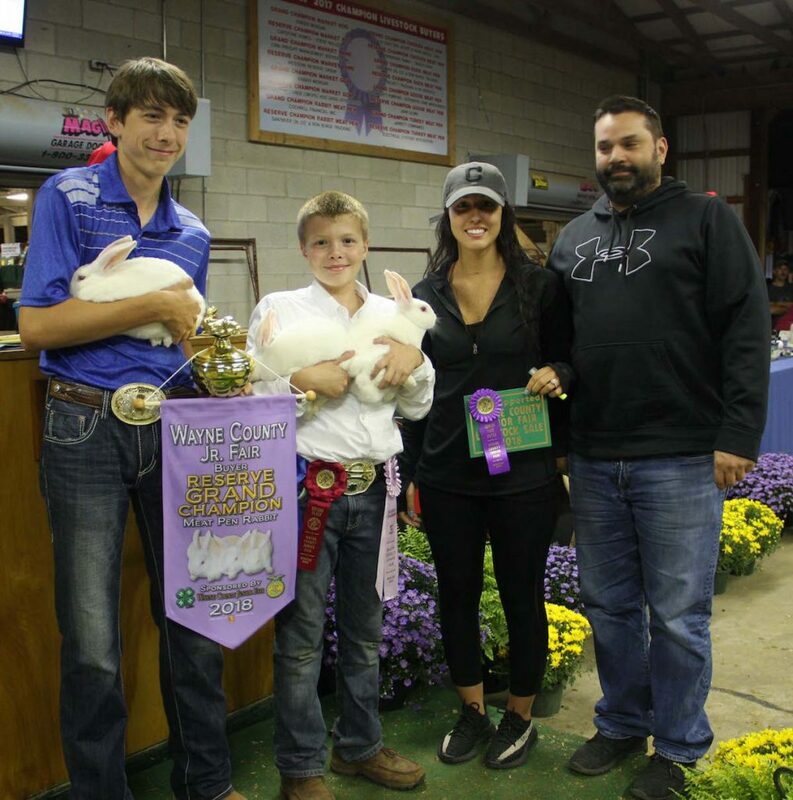 Cole Walenciak’s reserve grand champion pen of meat rabbits sold for $900 to Jason Carrick and Kylee Myers, for the Clothing Wearhouse. 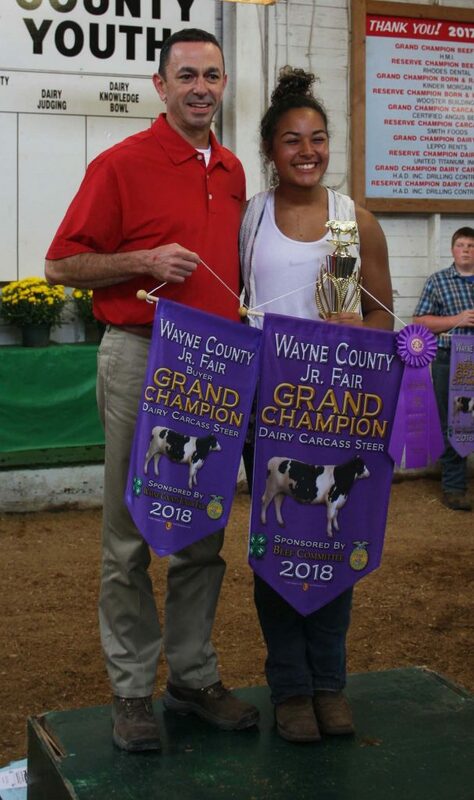 Also pictured is Clay Johnson. 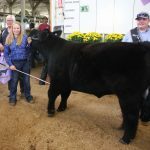 Carly Csapo’s 1,335-pound reserve champion steer was purchased by Terry Santmyer, for Santmyer Oil, for $3.50 per pound. Morgan McCoy’s reserve champion turkey sold for $400 to Ag Services and KL Ricktett Trucking, represented by Kurt Rickett. 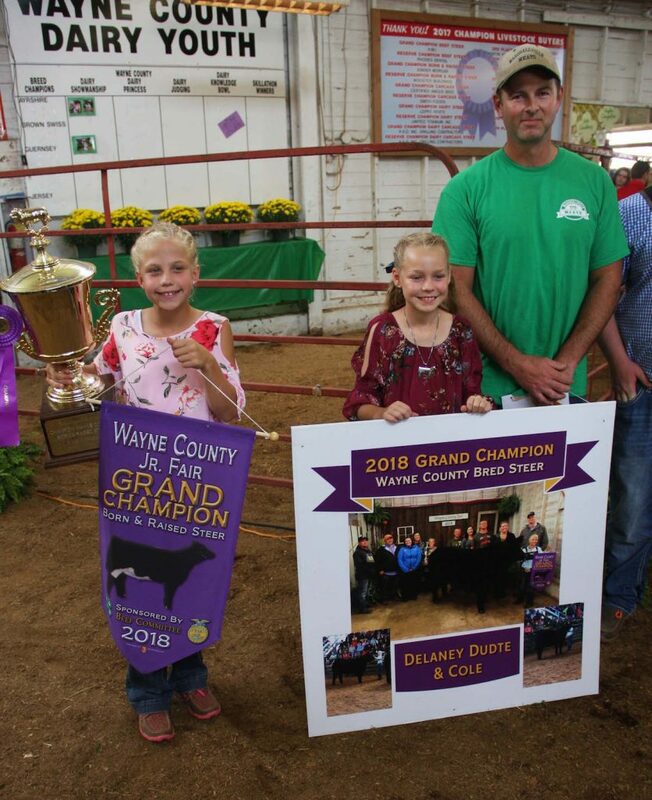 Mazda of Wooster, represented by Dan Jacobs, bid $6.50 per pound for Kyle Badger’s 259-pound reserve champion Wayne county bred and raised market hog. 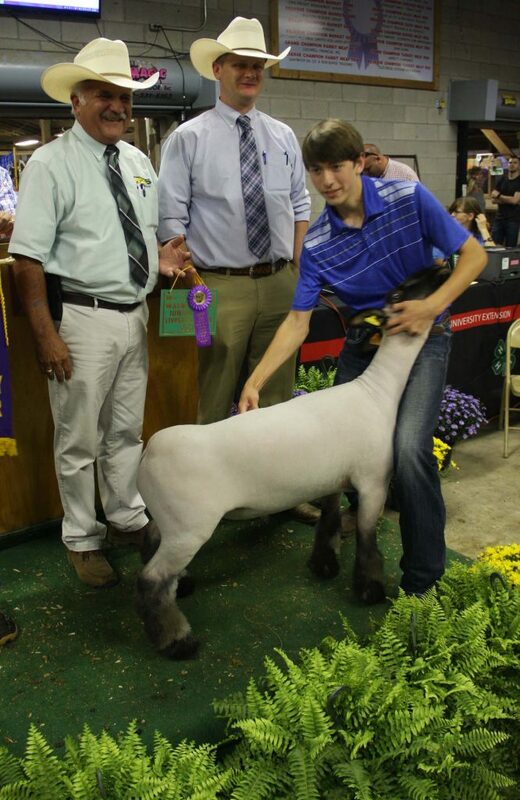 Also pictured is Kaleb Badger. 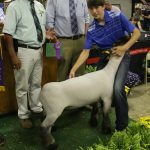 G & B Aderson, represented by Ben Everhart, bid $10 per pound for Eliyssa Simmons’ 70-pound champion market lamb carcass. 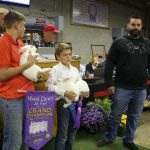 Andrews Auctioneers, represented by Steve and Seth Andrews, bid $11 per pound for Clay Johnson’s 141-pound champion market lamb. 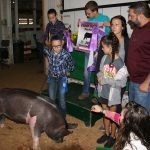 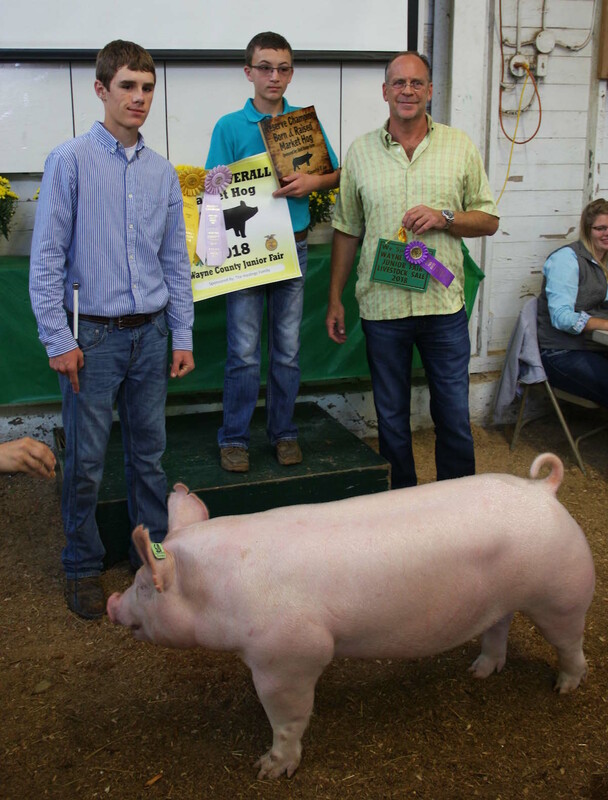 Garrett Cramer, of Cramer Oil, bid $9 per pound for McKayla Feikert’s 274 pound champion Wayne County bred market hog. Also pictured is Seth Crilow, Mia Mariola, Alivia Crilow and AJ Rhodes. 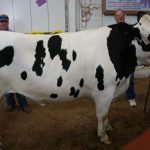 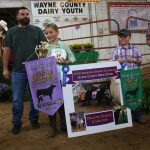 Kyle Olszewski’s 1,625-pound reserve champion dairy steer was purchased by Jim Fry for Waynedale Truss and Panel, for $2 per pound. 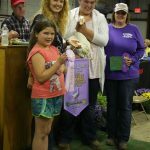 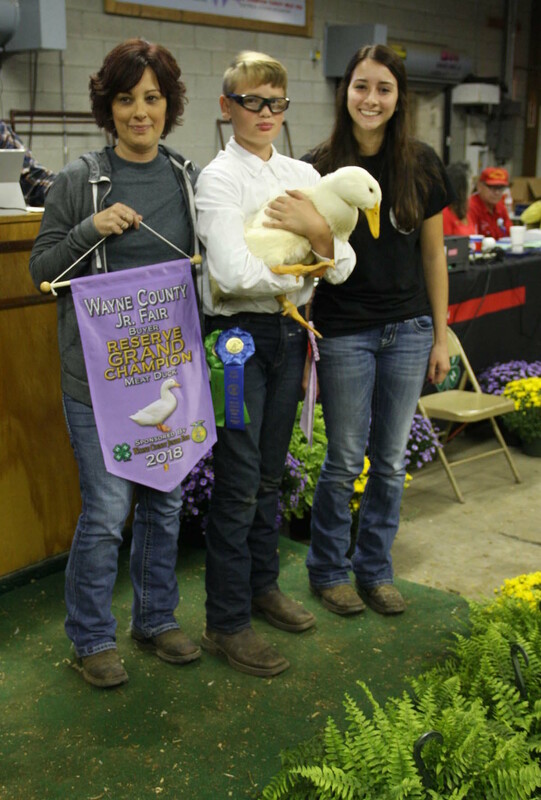 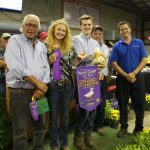 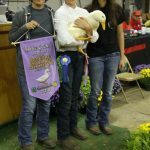 Cayden Haine’s reserve champion meat duck sold for $500 the Burbank Beauty Salon, represented by Amy and Whitney Smith. Morgan Johnson’s reserve champion meat goose sold for $400 to C & L Shoes, represented by Melinda Clifford. 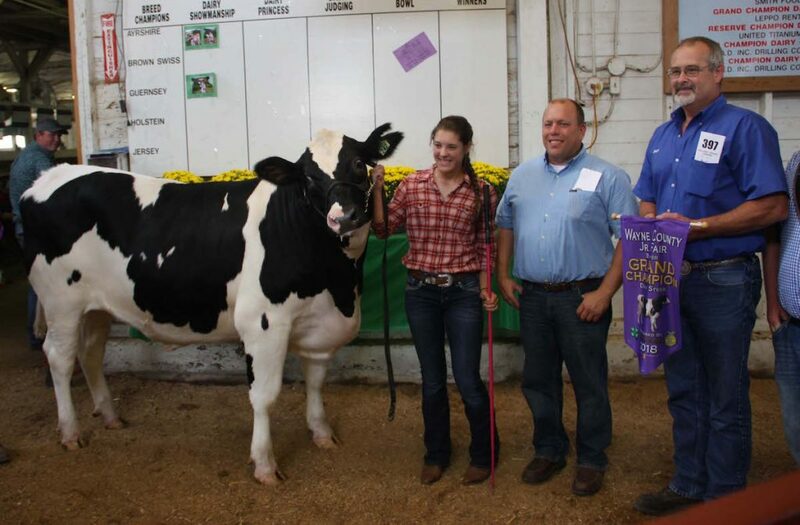 Also pictured is Mallory Johnson. 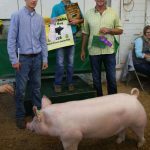 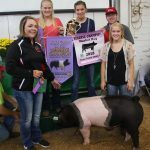 DAC, represented by Tina Jacobs-Heile and Colton Keener, bid $11.50 per pound for Riley Stull’s 264-pound reserve champion market hog. 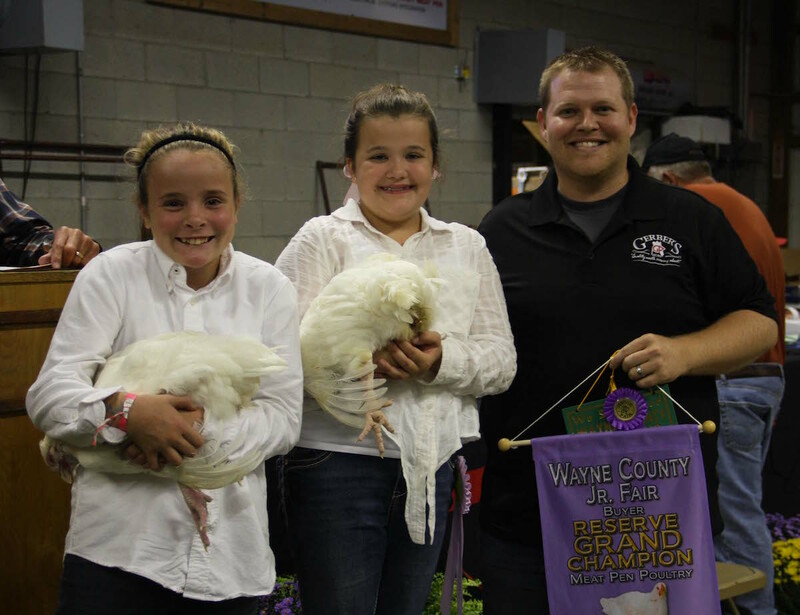 Also pictured is Katie Stull and Lizzie Howman. 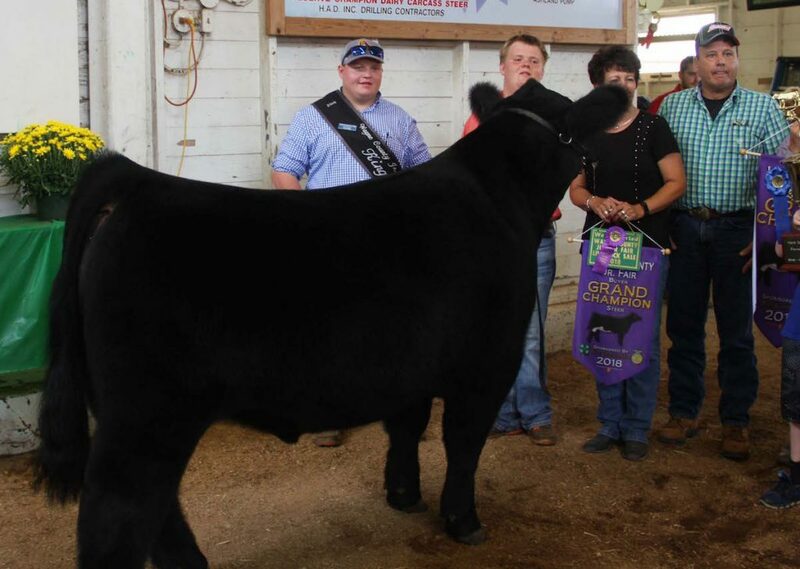 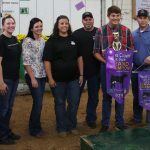 Zach Leimeister’s 844-pound champion beef carcass was purchased by Certified Angus Beef for $5 per pound. 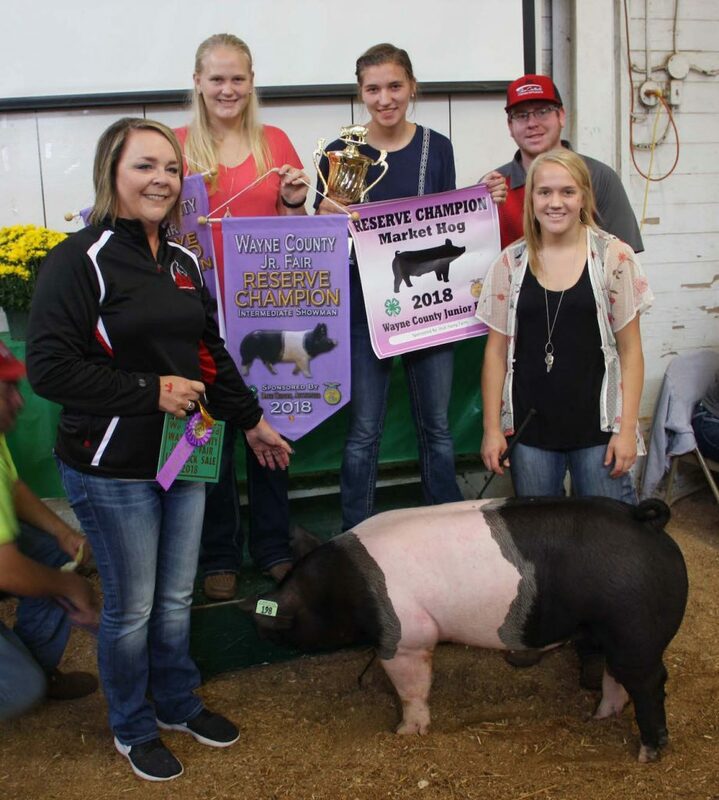 Pictured are Clint Welenciak, Erin Lucci, Katie Burkhart, Mandy Atterholt, Brad Parker. 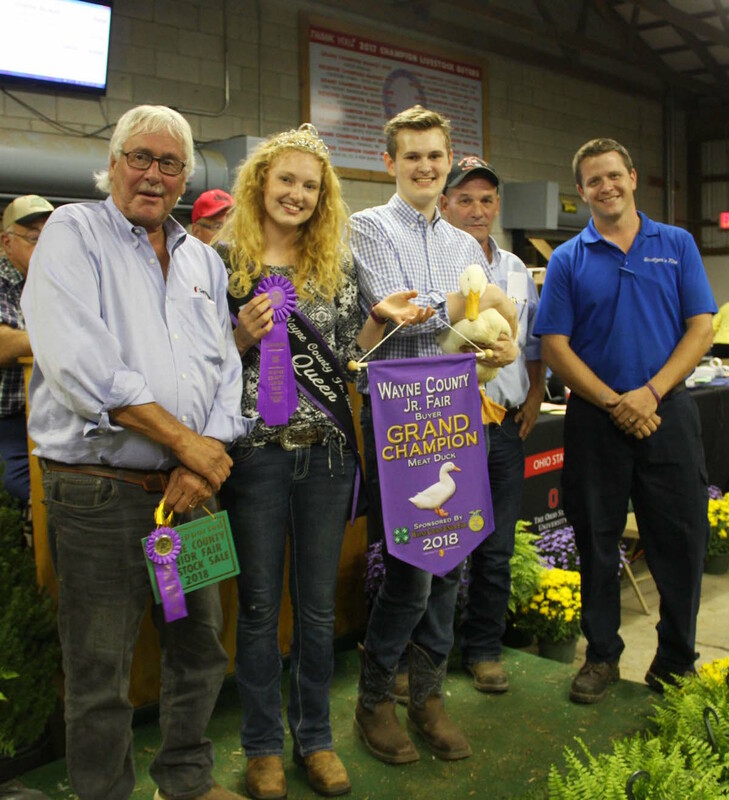 Charlie Bickett’s grand champion meat duck sold for $525 to Terry Santmyer, Santmyer Oil, Scott Burge, Ron Burge Trucking and Chad Kieffer, Smetzer Tires. 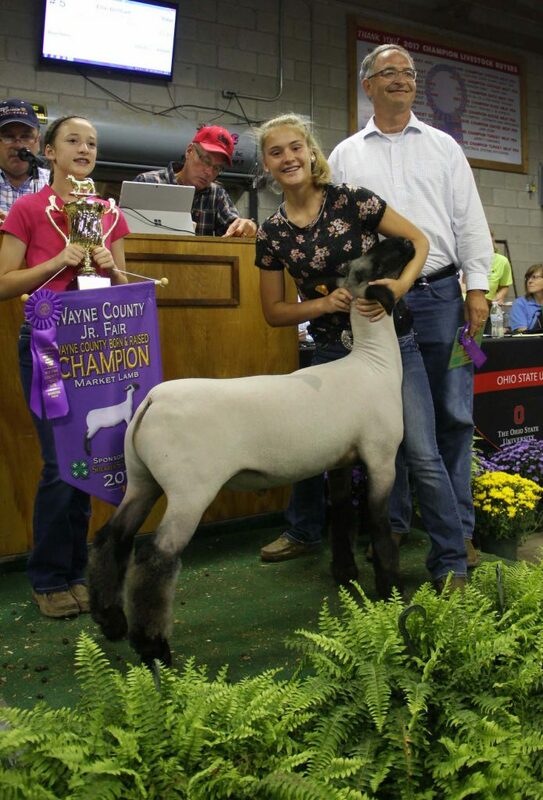 Also pictured is Lily Bickett. 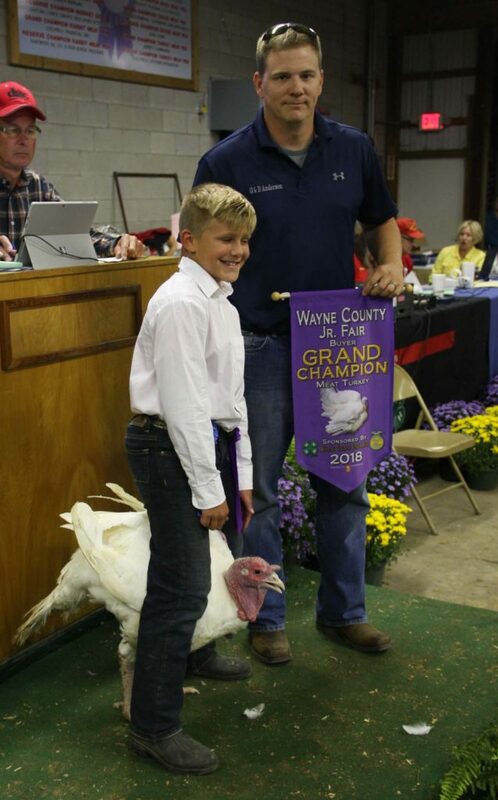 Grady Bickett’s grand champion meat goose sold for $425 to Sterling Fur Company, represnted by Keith Winkler and Tom Miller. 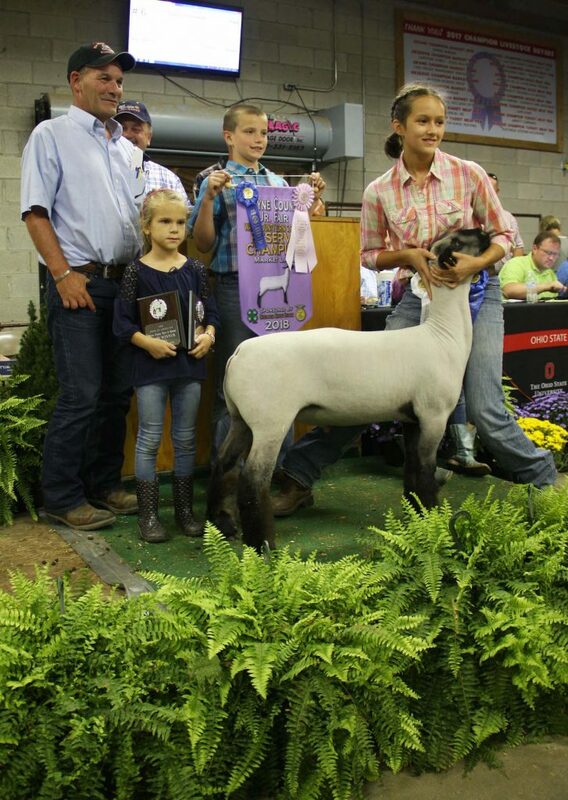 Also pictured is Lily Bickett. 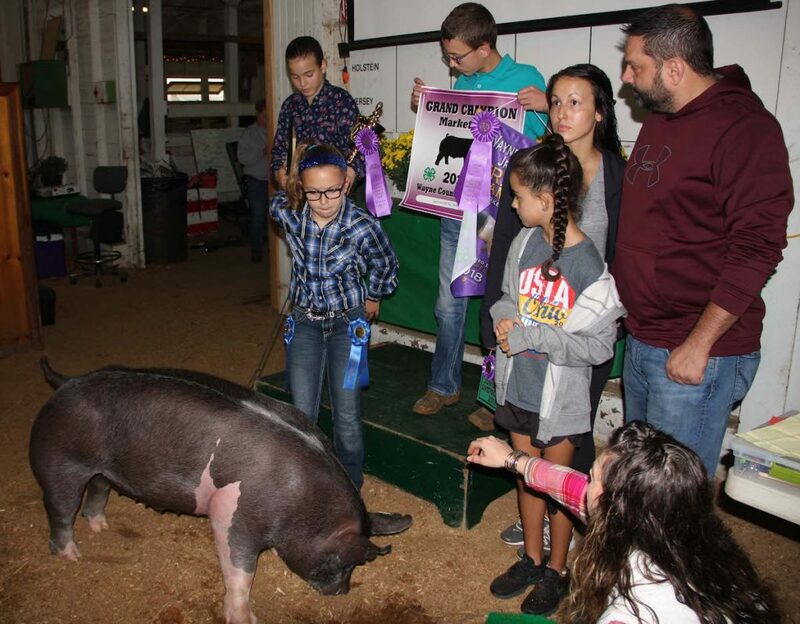 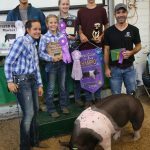 The Clothing Warehouse, represented by Jason Carrick, Kylee and Jaycee Myers bid $23 per pound for Morgan Evin’s 274 pound champion market hog. 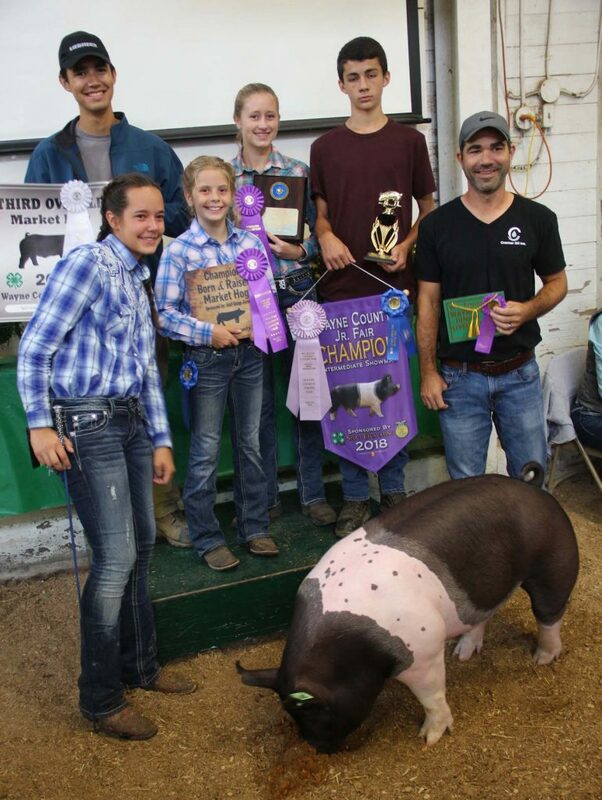 Also pictured is Kaylee Scale and Kaleb Badger. 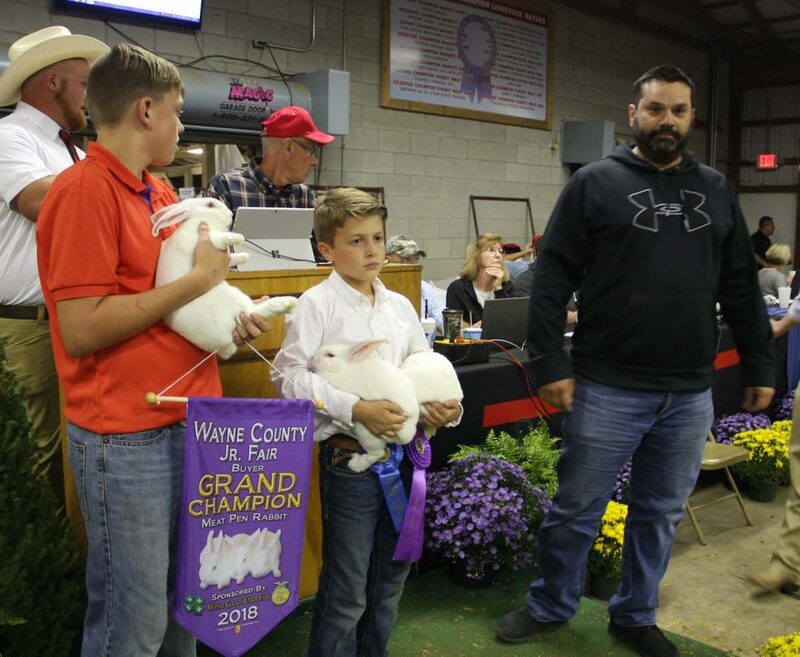 Luke Walenciak’s grand champion pen of meat rabbits sold for $900 to Jason Carrick, for the Clothing Wearhouse. Also pictured is Grant Johnson. 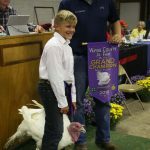 Grady Cotton’s grand champion turkey sold for $600 to G & B Anderson, represented by Ben Everhart. 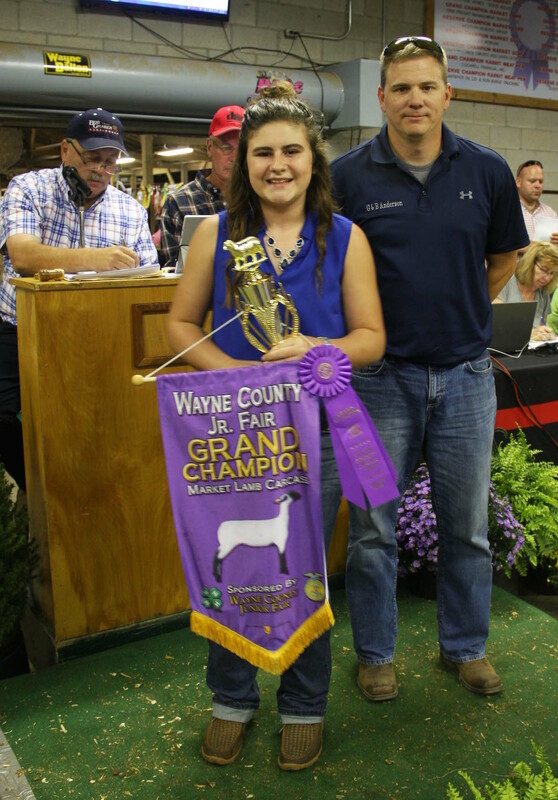 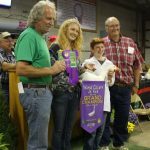 John and Patty Crum, bid $8 per pound for Ellie Brillhart’s 145 pound Wayne County Bred champion market lamb. 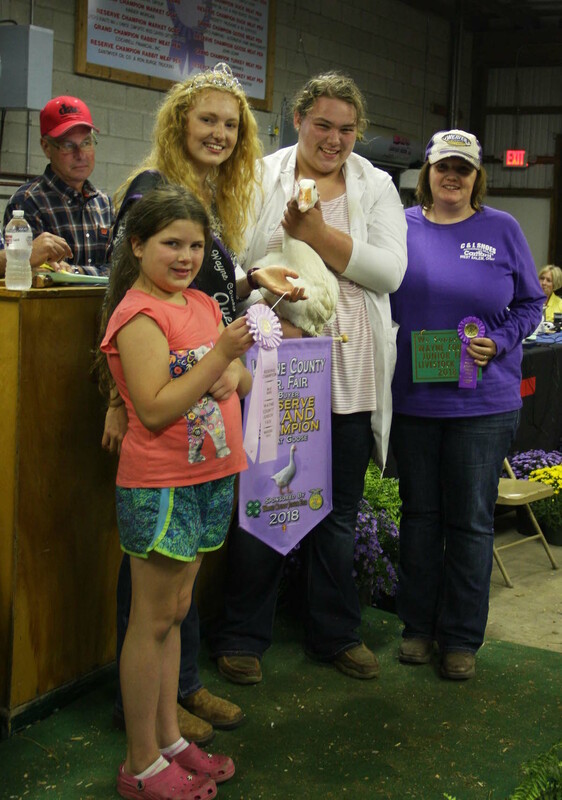 Mackenzie Hartzler’s reserve champion pen of meat chickens sold for $800 to Josh Hanzie, for Gerber Poultry. 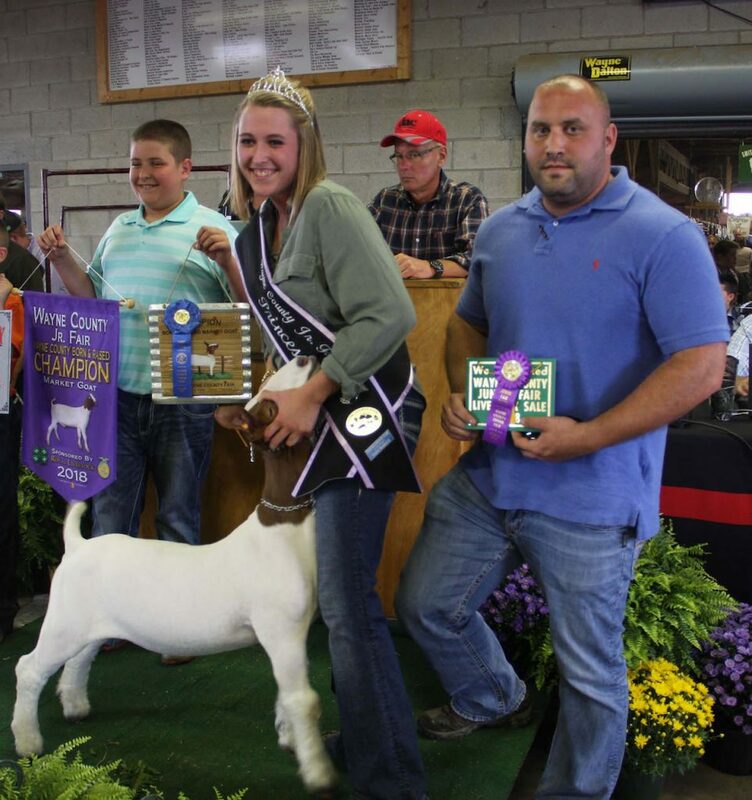 Pictured is Haley Thut.